Term: Year. Class will meet two or three times a week for 40 minutes. meet separately two or three times a week for 40 minutes. 2nd semester all students will meet two or three times a week for 40 minutes. Description: Students will sing, play rhythm instruments, dance, and talk about music. 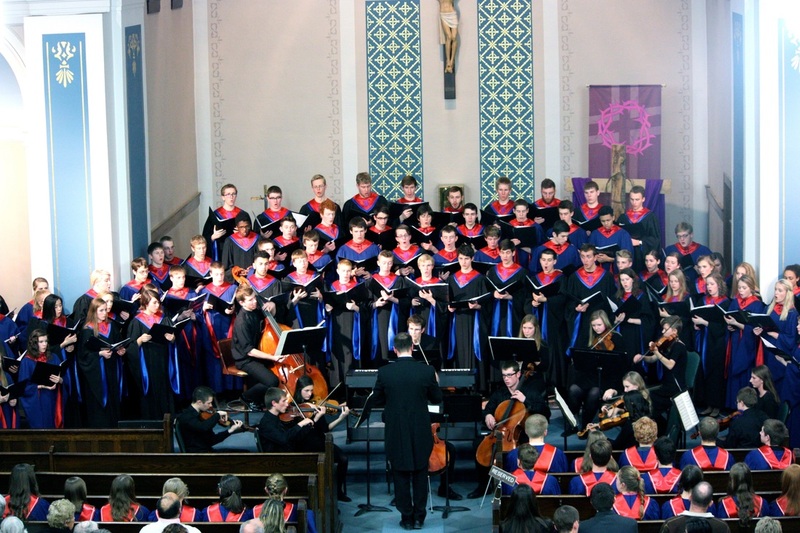 Music that studied will be folk, patriotic, and popular music. Included during the year will be two performances at Decorah nursing homes: one in December featuring holiday music, and one in May featuring folk and patriotic music. An auditioned group of sixteen singers who make up the Royal Court at the annual Madrigal Dinner in January. This group rehearses three mornings a week at 7:00 a.m. from mid-November through January. 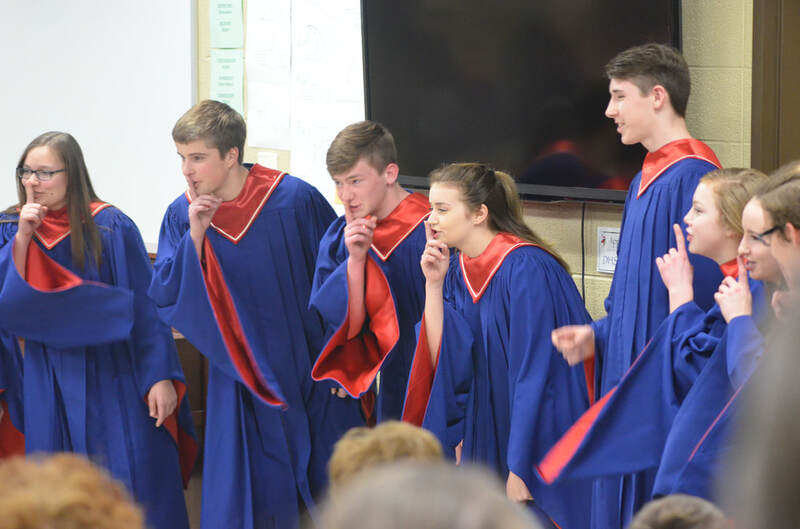 They also perform at State Solo/Ensemble Music Festival in the spring, and perform for special school and community events. 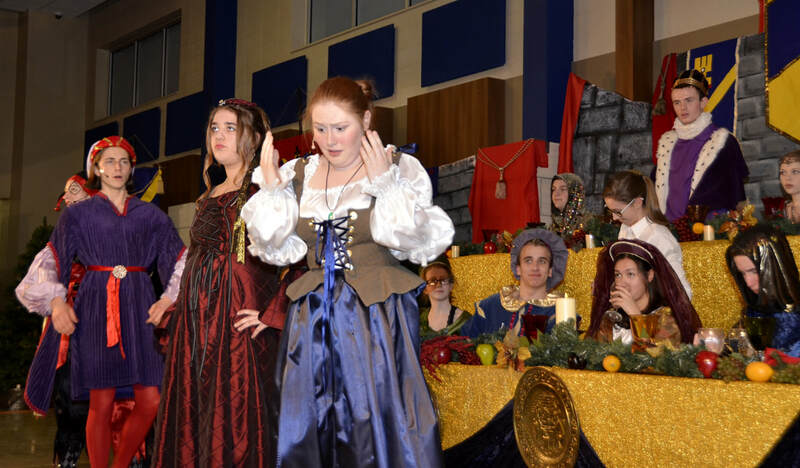 An auditioned group that performs at the annual Madrigal Dinner in January. This group rehearses one morning a week at 7:00 a.m.